for $1,920,000 with 3 bedrooms and 3 full baths. This 2,130 square foot condo was built in 2004. The ultimate showcase! Totally renovated with finest high-end finishes and magazine quality! Sleek with modern open flair. Luxurious with all the sumptuous comforts. 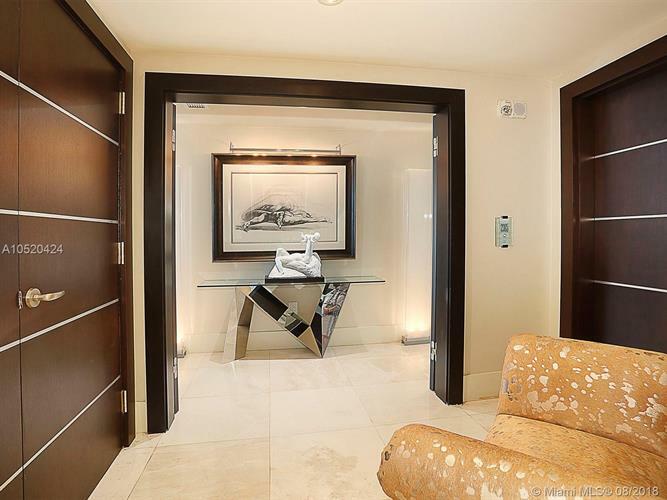 Stunning foyer entry, gleaming marble floors throughout. Gorgeous and dramatic living and dining area with floor to ceiling exquisite decor and impact doors! Gourmet dream kitchen. Well-thought, grand-scale lavish master suite with all cutting edge detailed closets and luxurious bath. Split plan. Artistically blending of interiors and magnificent water view! A dream!